The Tokamak Building has reached its maximum height ... in terms of concrete that is. The "jewel box" in reinforced concrete will grow no more; instead, it will be brought to the level of the adjacent Assembly Hall by the addition of steel-structure walls and a roof. 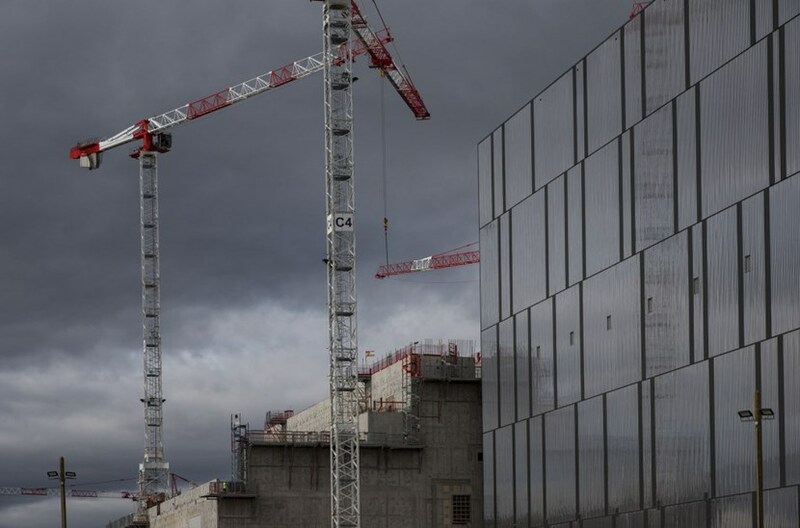 The Tokamak Building requires two types of construction: concrete below (nearly completed) and steel above (installation beginning summer 2019). The concrete portion of the building below will enclose the ITER machine. The airy gallery above—the Crane Hall—will provide the workspace needed as the heavy-lift assembly cranes travel back and forth between the buildings to deliver components into the Tokamak Pit. On top of the slabs, heavy structural pieces called "corbels" will support the steel pillars for the Crane Hall. The steel structure (pillars, walls, roof) is in production now and assembly operations are set to begin during the summer.